Rufus Rabbit the funny bunny was a creation of designer and Mummy to four, Anna Danielle. Rufus Rabbit started out as a greeting card character, publishing amusing but completely made up facts based loosely around real life. 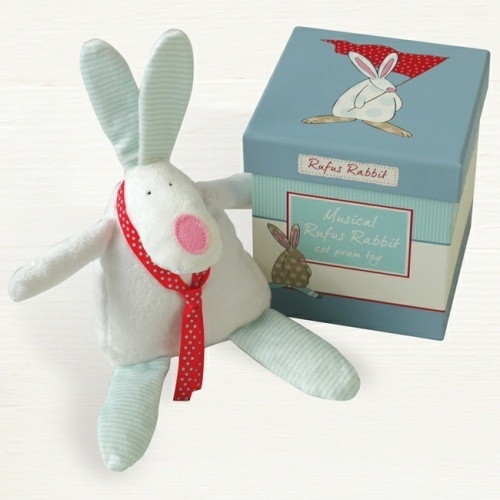 Then towards the end of 2011 Rufus made the transition into a baby gift range, many years on and the little bunny is finding his furry feet in the big wide world. 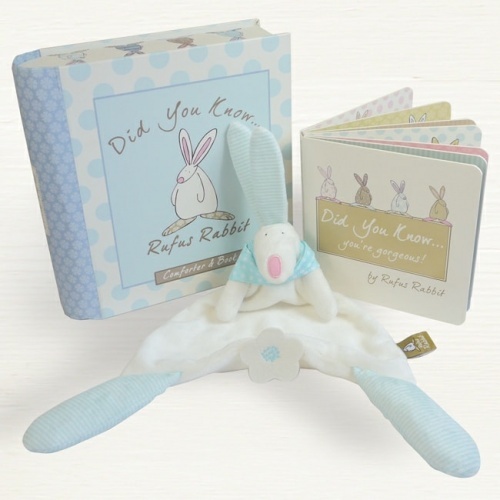 Our range of Rufus Rabbit Baby Shower Gifts and Baby Accessories.